One of the challenges organizations face in the era of Big Data is to make sense of the wealth of information available about the many interactions they have with their members. The Activist Continuum project will allow the NEA to standardize and categorize interaction data in an ontology that makes the data more actionable. For example, two different events regarding immigration will both be coded in NGP VAN when entered as related to immigration, so that the NEA will be able to identify people that have attended an event related to immigration. This type of data syntheses will allow members to be contacted by NEA on issues they care about, and be asked to take actions that tailored to their activity level. This will allow the NEA to better support the advocacy and civic action of their members and affiliates. NEA members have high participation rates across a wide variety of civic activities. And their activism is conducted through a wide variety of online and offline grassroots channels, with information about those activities often collected in NGP VAN tools, but also through other means. 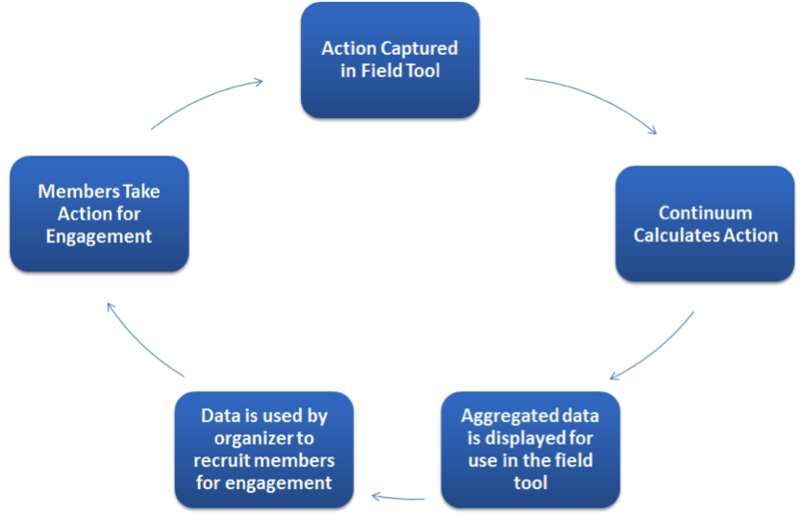 Catalist analytics technologies help the NEA better understand the activities of NEA members across communities and over time by dynamically aggregating and categorizing the information that NEA members provide as they participate in NEA organizing and advocacy campaigns. 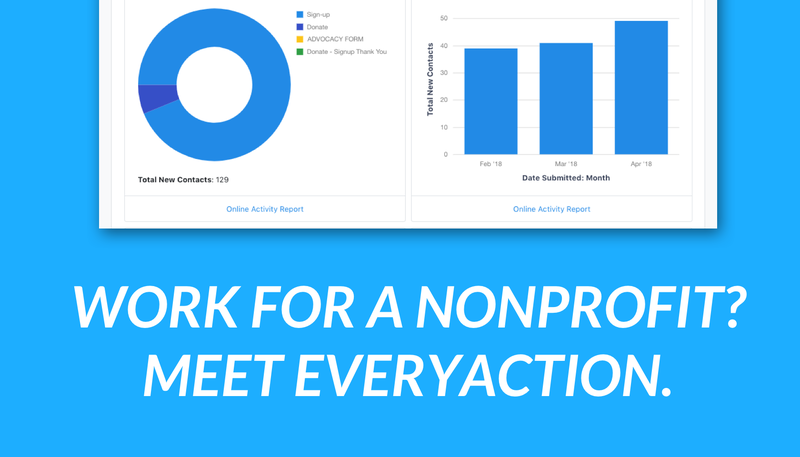 NGP VAN makes this information actionable and easily accessible through user-friendly software interfaces designed to allow the NEA to use the aggregated information to improve and better support the outreach activities of NEA members and affiliates. “Our new Activist Continuum project is designed to help us understand and better harness and support the incredible civic participation and activism of our members – through the most modern data and software tools,” said Karen White, NEA National Political Director. “Catalist is providing new statistical algorithms and automated data processing to help the NEA better compile and categorize its members’ activity, and to synthesize and dynamically update that information as members take action. This provides the NEA with new business intelligence to better understand and support the local grassroots advocacy and activism priorities of their members and affiliates,” added Catalist CEO, Laura Quinn. 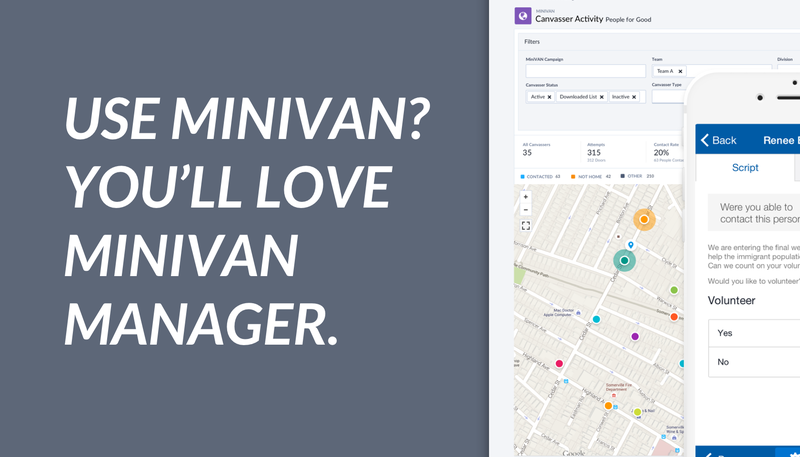 “Catalist’s synthesis of NEA data is surfaced in the NGP VAN ‘Continuum’ interface to give end-users dynamically updated information about member activities – and better tailor communication to match the topics and types of activities that members are most interested in,” said NGP VAN CEO, Stu Trevelyan. The Activist Continuum is called a continuum because it is built to enhance itself over time. 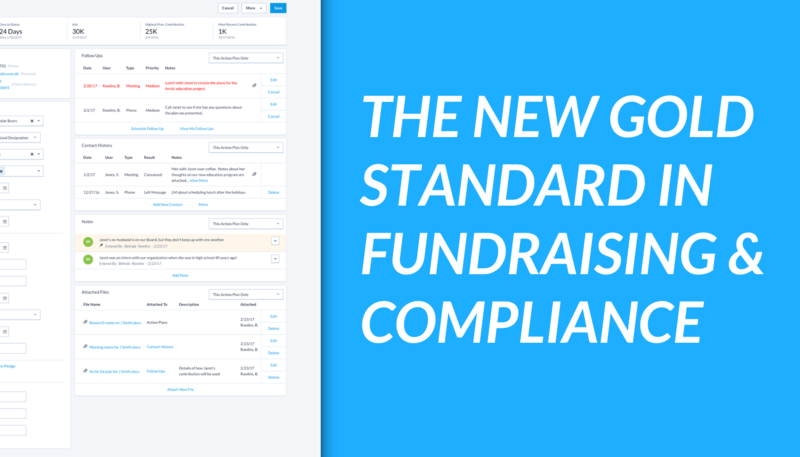 Organizers will use the continuum to target and engage members, and capture new engagement activity to enhance member profiles on the continuum. The idea is for the next effort to benefit from the information gained by the last effort. We also expect action takers to increase their involvement over time by giving our organizers the tools to identify those folks who are ripe for taking on additional responsibility and tasks. More and higher value actions will increase a person’s level and show the organizers who the most valuable and engaged action takers are. This can help in identifying leaders, potential candidate for union and public office as well as those members who can take a more active role in the organization in general. As our continuum grows, our members profiles grow and they move up the ladder. Catalist (http://catalist.us) maintains and constantly updates a complete national (50 States, plus the District of Columbia) database of over 280 million voting age persons (more than 185 million registered voters and 95 million unregistered adults). Serving the progressive community, Catalist brings powerful web based analytics tools and a high quality voter database of all voting-age individuals in the United States to progressive organizations and campaigns. National Education Association (NEA) is the nation’s largest professional employee organization, representing more than 3 million elementary and secondary teachers, higher education faculty, education support professionals, school administrators, retired educators and students preparing to become teachers. 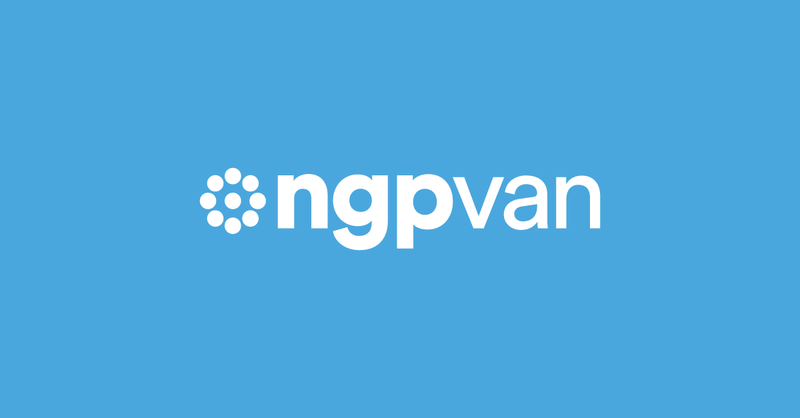 NGP VAN is the leading provider of tools to the progressive community. Its web-based tools power the member engagement, union organizing, volunteer management, and voter contact of most of the progressive organizations, including the NEA, the SEIU, the AFL-CIO, and the America Votes and State Voices umbrella groups and their members.